Multi-jurisdictional compliance automation to ensure authenticity, trust, and integrity in digital finance. Rapid growth in technology has produced new opportunities for capital markets, new financial instruments and access to capital. Traditional capital markets infrastructure can benefit by embracing new technologies and systems, but also is threatened by a new need for compliance and regulation measures to match these new opportunities. iComply brings the world of traditional capital markets and the innovative technologies closer together. Building on the strength of a reliable and trusted capital market we build, design and support technologies and platform that can reduce regulatory friction, improve accessibility to global capital. We provide clarity & confidence through our technologies. Authenticity, Trust, and Integrity in Digital Finance. Access to global capital is now possible when aided through decentralized financial markets. Prefacto™ is the first end-to-end platform for supporting both traditional & decentralized markets. Trust, clarity & confidence are key to the successful access and distribution of global capital. Our Prefacto™ compliance engine brings global regulatory requirements to a variety of financial applications. 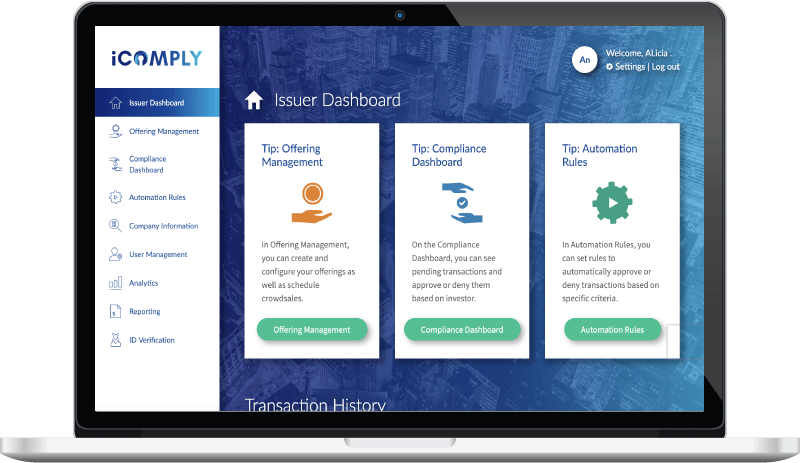 Both Prefacto™ and iComplyKYC are designed to support both emerging and existing traditional capital market applications. We bring the advantages of automation and decentralized technologies to benefit all global capital.